We can transfer files and folders from the SCSI 40 pin hdd that were often used in external 25pin caddy case or Apple PowerBook. Popular makes were Western Digital WDS-2120 or Quantum Go-Drive GRS. Other SCSI drives were made by IBM, Conner and Seagate and typically have capacities like 80mb, 100mb, 120mb or 160mb. The interface is quite a rare drive and difficult to find an easy way to transfer the files - no off the shelf solution exists to our knowledge. However we can read the disk and save the files to modern USB drives, or CD / DVD disks. We can even convert some of the old files for use in say Microsoft Word etc. 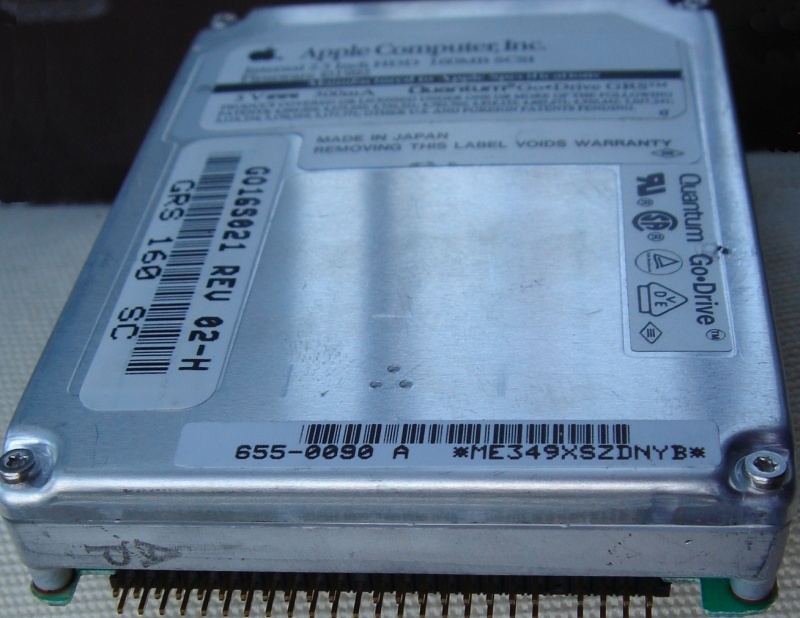 If you need a SCSI 40 pin hdd from Apple Mac PowerBook for Transfer of Files and Data service, then contact our friendly company. We can transfer files and folders from the SCSI 40 pin hdd that were often used in external 25pin caddy case or Apple PowerBook. Popular makes were Western Digital WDS-2120 or Quantum Go-Drive GRS. Other SCSI drives were made by IBM, Conner and Seagate and typically have capacities like 80mb, 100mb, 120mb or 160mb. The interface is quite a rare drive and difficult to find an easy way to transfer the files - no off the shelf solution exists to our knowledge. However we can read the disk and save the files to modern USB drives, or CD / DVD disks. We can even convert some of the old files for use in say Microsoft Word etc..